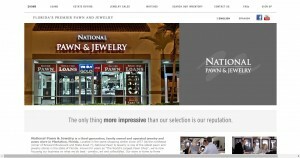 National Pawn & Jewelry address, phone, website, hours of operation, and more. 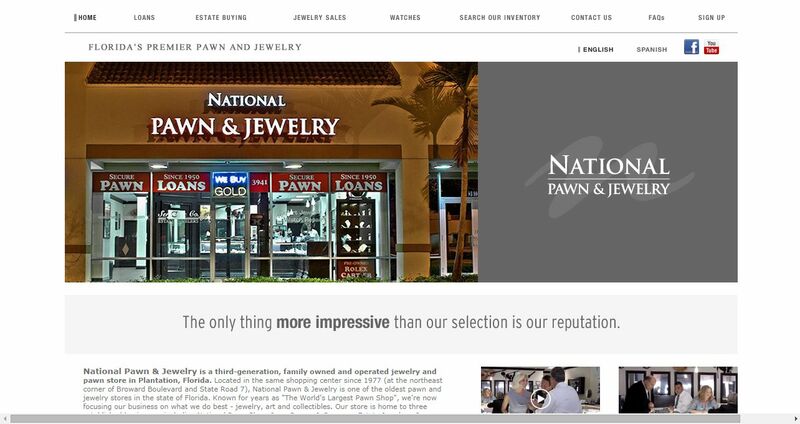 National Pawn & Jewelry is a third-generation, family owned and operated jewelry and pawn store in Plantation, Florida. Located in the same shopping center since 1977 (at the northeast corner of Broward Boulevard and State Road 7), National Pawn & Jewelry is one of the oldest pawn and jewelry stores in the state of Florida. Known for years as “The World’s Largest Pawn Shop”, we’re now focusing our business on what we do best – jewelry, art and collectibles. Our store is home to three established businesses including National Pawn Shop, Inc.; Serges & Company Estate Jewelers, Inc.; and WatchesLikeNew.com. Whether you are looking to borrow money with a short-term jewelry loan; interested in selling gold, silver or estate jewelry; or searching for a bargain on unclaimed jewelry, watches, art or collectables, we are the premier pawn location in Ft. Lauderdale, Florida.